The Stone is a multi-brand clothing store with forty physical retail outlets spread across west and central Netherlands. From 2009, The Stone has also been active online, and the company has evolved from a multichannel retailer to a retail organization with an omnichannel architecture. With a mobile-first strategy, a big data (loyalty) environment, and a full integration of eCommerce processes into the overall business architecture, The Stone has evolved into a major omnichannel player. 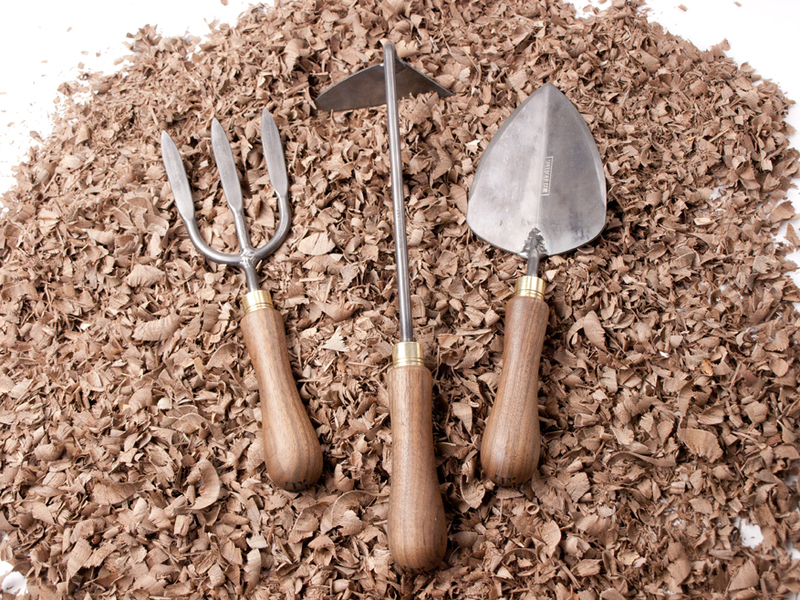 Sneeboer Manufacturing is internationally renowned by its highest quality, stainless-steel, hand forged garden tools enjoyed by discerning gardeners. The family business was set up in 1913. Sneeboer tools are now for sale in no less than 179 countries around the globe; however, creating products of the highest quality remains the top priority. Every tool is hand-forged by skilled artisans who are trained in this craft at the in-house blacksmith shop. Despite the company’s ‘old-fashioned’ character, Sneeboer values innovation and uses, for example a modern, international web shop. Lampenlicht.nl , market leader in online sales of lighting products in the Netherlands and one of the major players in lighting across Europe, grew up with Ingenico ePayments. With our Full service solution, Lampenlicht.nl has a single financial flow that includes all payment methods and currencies and is able to issue refunds quickly and easily. Fruugo is a unique global online marketplace, operating in 30 countries as diverse as the Nordics, US, Australia, UK, Russia and the EU. With operations in multiple languages, currencies and payment methods, they needed a partner who could support their current business and future plans. Click here to see how Ingenico ePayments did just that. For more than 50 years, Canvas Holidays has been providing families with action-packed camping and adventure holidays across Southern Europe. Customers already travel from the UK, Ireland, Germany, Holland and Belgium, but wanting to expand into new geographical markets, Canvas sets up camp with Ingenico ePayments. 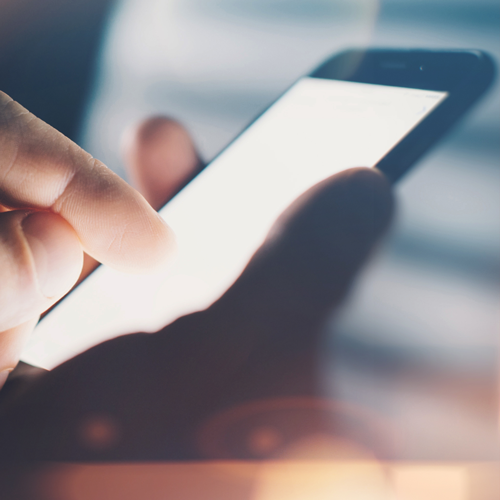 As technology becomes increasingly sophisticated, so do fraudsters, posing new and ever-evolving challenges to fraud prevention managers and online merchants. Ingenico ePayments worked closely with Rail Europe 4A to cut chargebacks in half and boost revenue through effective fraud prevention. Read more learn how our fraud solution helped Rail Europe 4A. Ingenico Group offers the right, secure, smart and seamless payment solutions whatever the channel: in-store, online and mobile. Ingenico Group provides merchants with a comprehensive and innovative range of services and solutions that eliminate payment complexity and make purchasing quick, seamless and secure for consumers, whatever the sales channel or payment method. Ingenico Group comprises of three divisions: Ingenico Smart Terminals, Ingenico Payment Services and Ingenico ePayments. Through our comprehensive range of smart terminals, payment services and mobile solutions, we facilitate merchants’ in-store and online payments acceptance. Now known as Ingenico ePayments, Ogone was a leading pan-European online payment services provider, which was acquired by Ingenico Group in 2013 and merged with GlobalCollect in 2015 to become Ingenico ePayments. To honor Ogone’s significant legacy and its name, the term Ogone is now used to describe an Ingenico ePayments platform, which includes Ingenico Collect, a one-stop payment solution that enables merchants to offer preferred payment methods in many different countries, without the hassle of having to open multiple bank accounts or form new legal entities. With its Ogone platform and other offerings, Ingenico ePayments goes beyond payments by offering global consultancy services on topics including local regulations, regional payment customs and preferences, and fraud and compliancy. Now known as Ingenico ePayments, GlobalCollect was a leading global payment service provider, processing international eCommerce payments for more than 600 of the world’s most recognized eCommerce brands. GlobalCollect was acquired by Ingenico Group in 2014 and merged with Ogone in 2015 to become Ingenico ePayments. To honor GlobalCollect’s significant legacy and its name, the term GlobalCollect is now used to describe a full-service Ingenico ePayments platform, which includes Ingenico Connect. Ingenico Connect is a suite of tools and services designed to make integration to the payment platform and creation of mobile-first interfaces simple, fast and secure, using the latest technologies and tools that developers expect. 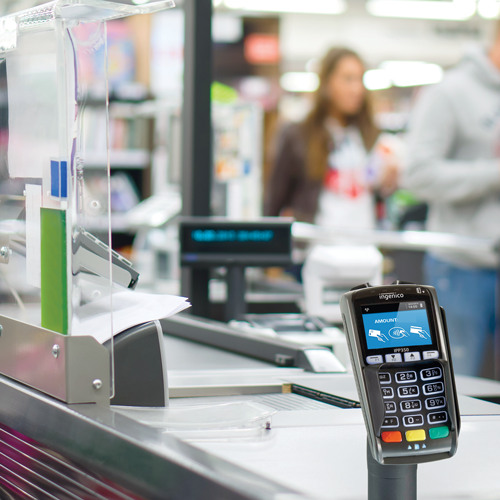 Once integrated, Ingenico Connect’s enable merchants to flexibly create an engaging consumer experience on any device. With its GlobalCollect platform and other offerings, Ingenico ePayments goes beyond payments by offering global consultancy services on topics including local regulations, regional payment customs and preferences, and fraud and compliancy. What is Ingenico Payment Services? In the past and prior to taking on the name Ingenico ePayments, Ogone was temporarily named Ingenico Payment Services. However, once Ogone joined forces with GlobalCollect, the two came together under a new unified name: Ingenico ePayments. Today, Ingenico Payment Services is a separate division of Ingenico Group that provides merchants with a comprehensive range of centralized and secure in-store transaction management services. Ingenico Payment Services ensures end-to-end security, control and monitoring of merchants transactions thanks to a centralized payment solution dedicated to organized retailers. In addition, Ingenico Payment Services has a full range of customer loyalty solutions to increase merchant revenue, including: loyalty card programs and loyalty program management, prepaid cards and gift card management, customer data analysis and marketing campaign management. Ingenico Collect is your one-stop solution for accepting and collecting payment methods on the Ingenico ePayments Ogone payment gateway. 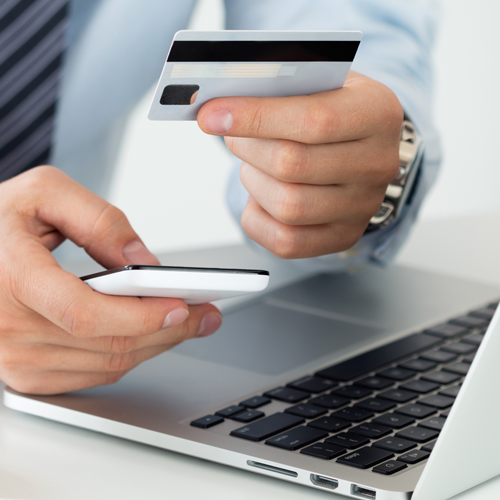 Ingenico Collect enables you to offer the preferred payment methods of buyers across Europe. There’s no need to open bank accounts or create a new legal entity in each country - All you have to do is choose which payment methods you’d like to accept. With one single contract, merchants can combine all payment methods into a single funding and reporting flow and easily add new payment methods as their online business expands. What is Ingenico Connect? What is Ingenico MyCheckout? Ingenico Connect is a suite of tools and services designed to make integration to our payment platform simple, fast and secure, using the latest technologies and tools that developers expect. Once integrated, Ingenico Connect’s mobile-first interfaces enable you to flexibly create an engaging consumer experience on any device. Ingenico MyCheckout is a responsive hosted payment page solution. It adapts automatically to the screen size of your customers device, whether it is a mobile phone, tablet or desktop. Our iOS and Android SDKs also easily enable native in-app payments through Ingenico Connect, for the leading mobile platforms. Elevate is a Business Intelligence solution for payments and chargebacks, specifically built for international eCommerce companies. Elevate translates raw payment data into interactive and easy-to-read dashboards that let you quickly identify and act on payment problems and opportunities, and benchmark your performance against your industry peers. Using our customizable Business Intelligence solution, merchants gain insights into their payments, authorization rates, chargebacks, refunds, disputes, industry benchmarks, commercial insights and more. How do you help merchants prevent fraud? Ingenico ePayments offers a complete suite of flexible products, sophisticated technologies and dedicated expertise to help you manage and optimize your online fraud prevention practices. Our industry-leading fraud detection tools and experts bring over 20 years of industry and regional expertise, and we will work closely with you to develop, implement and manage a holistic fraud solution that includes prevention, detection and management. We also offer comprehensive chargeback management and dispute management solutions. By working with Ingenico ePayments, you can pick the solutions that best fit your needs and customize our services to either outsource fraud management functionalities or keep them in-house with our ongoing support. How do you maintain security and compliance? Ingenico ePayments is committed to protecting the security of the payments we process and consumers’ private data. While it is the merchant’s responsibility to ensure payment data security, the process can be outsourced to reduce this burden. One option is to outsource card data management by using a hosted solution, in which consumers feel as though they are on the merchant’s website but all the sensitive card data is managed by a separate PCI-compliant provider. Another option for securing payment data for subscription-based or recurring transactions is through tokenization, which eliminates the need for the customer and merchant to continuously exchange sensitive payment data. At Ingenico ePayments, we maintain the highest levels of PCI-compliance and offer both options, to reduce the security burden for both the merchant and the consumer. Why did Global Collect B.V. / Ingenico e-Commerce Solutions show up on my billing statement? GlobalCollect B.V. and Ingenico e-Commerce solutions are the legal entities that are attached to Ingenico ePayments. As a payment service provider, Ingenico ePayments collects, processes and reports payments on behalf of companies that sell products and services via the internet. These companies have authorized us to debit your account in order to complete your purchase of a product or service. If you are unsure of the reason you were charged, first check whether you or someone in your household has recently bought something online, by mail or telephone. If you are certain that this is NOT the case, please get in touch with the online merchant associated with the payment or your personal bank. Please note: As a third-party supplier, we are not authorized to conduct any debits or refunds that are requested directly by the customer. If you are unhappy with your purchase and/or charge, please contact the store or online business directly.